The FRONTLINE (PBS) documentary ABACUS: SMALL ENOUGH TO JAIL, directed by award-winning filmmaker Steve James (Life Itself, Hoop Dreams) and produced by Mark Mitten (Life Itself) and Julie Goldman (Life Animated, Buck), has been nominated for an Academy Award® in the Documentary Feature category. This is the first Academy Award® nomination for a FRONTLINE film. This is also Steve James’ first Academy Award® nomination for Best Documentary Feature, Mark Mitten’s first Academy Award® nomination, and Julie Goldman’s second Academy Award® nomination for Best Documentary Feature. 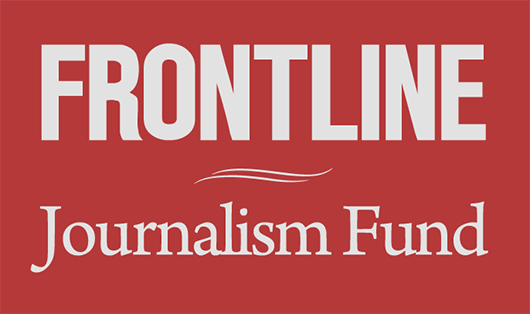 The acclaimed PBS documentary series FRONTLINE is produced out of WGBH/Boston. ABACUS: SMALL ENOUGH TO JAIL, which aired on FRONTLINE in September of 2017 following a theatrical release in the Spring of 2017 by PBS Distribution, chronicles the Chinese-American Sung family’s fight to clear their names after their small bank in New York City’s Chinatown became the only U.S. bank indicted for mortgage fraud related to the 2008 financial crisis. The documentary follows how the bank’s indictment and subsequent trial forced the Sung family to defend themselves — and their bank’s legacy in the Chinatown community — over the course of a five-year legal battle. “I’m so pleased and grateful. This is such a wonderful recognition for all of the ABACUS team, but especially for the Sung family. It has been a joy being able to follow their story,” said James, who previously worked with FRONTLINE on the Emmy Award-winning 2012 documentary, The Interrupters. The 90th Academy Awards® nominations were announced today by the Academy. Also nominated in the Documentary Feature category is the POV documentary, Last Men in Aleppo. This year’s Oscars ceremony will take place Sunday, March 4, 2018. Abacus: Small Enough to Jail is a Mitten Media, Motto Pictures, and Kartemquin Films Production for WGBH/FRONTLINE and Independent Television Service (ITVS). It is co-presented with the Center for Asian American Media (CAAM). The director is Steve James. The producers are Mark Mitten and Julie Goldman. The co-producers are Fenell Doremus and Nick Verbitsky. The executive producers are Gordon Quinn, Christopher Clements, Betsy Steinberg and Justine Nagan. The executive producer of FRONTLINE is Raney Aronson-Rath. The executive producer of ITVS is Sally Jo Fifer.